Whether you have heard it called The Big Apple, The City That Never Sleeps, or simply The City, there is undoubtedly only one place that has earned the title of New York City. Comprised of five boroughs - Manhattan, Brooklyn, The Bronx, Queens, and Staten Island - and serving as one of the most important hubs of culture and commerce in the world, New York City is home to some of the most famous landmarks in the world. Additionally, with a population of over 8 million people, it more than doubles Los Angeles, the second most populated U.S. city. Renowned for its constant zeal, it is no exaggeration to say that there is always something to do in NYC. From Broadway shows to sporting events, activities are seemingly endless across each one of the city's culturally-distinct boroughs. Broadway is a term that specifically describes professional theatrical performances in Manhattan. 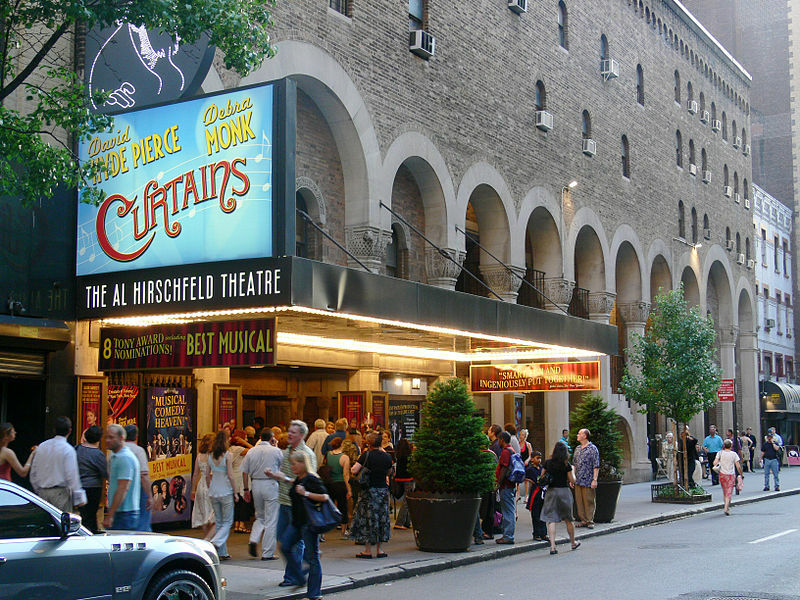 Since attaining a Broadway distinction means that a venue must have at least 500 seats, forty theaters make the grade, including the renowned Al Hirschield Theatre and the historic Lyceum Theatre. A typical Broadway show performs 8 times each week, with night shows running Tuesdays through Saturdays and matinees on Wednesdays and Sundays. While there is a tremendous amount of diversity on the show slate at any given time, fans of musicals in particular will be in absolute heaven. Those looking for a more intimate experience should certainly check out Off-Broadway shows, in which theaters with less than 500 seats showcase a variety of plays and musicals. While popular Broadway shows often command high ticket prices, your theater experience does not have to be expensive. Not only can you buy discounted tickets ahead of time, but one of the best local tips is to head over to Theatre Development Fund's Ticket Booth in the heart of Times Square. Each day, the booth offers available tickets to a terrific selection of Broadway and Off-Broadway shows at steep discounts. Although the TKTS Booth is great for discounted last-minute tickets, if you have you heart set on seeing a specific show on Broadway, you'll want to head over to ShowTickets.com, where you can snag great seats for all of the best shows on Broadway & beyond! The only Broadway theater that is not located in the city's Theater District is the Vivian Beaumont Theater, housed inside the Lincoln Center for the Performing Arts. With multiple theaters and residencies of the Metropolitan Opera, New York Philharmonic, and New York City Ballet among others, Lincoln Center is a prominent art facility with daily shows and performances. Although not a Broadway venue, Radio City Music Hall is also one of the more famous venues in the city, offering an impressive selection of live entertainment along with its annual holiday musical, The Radio City Christmas Spectacular. Though many cities may only have one or two landmarks that are imperative to a tourism trip, New York City has a true abundance. The best place to start is probably with the city's most iconic landmark, the Statue of Liberty. A gift from France to the United States, the sculpture was created by Frédéric Auguste Bartholdi and Gustave Eiffel and dedicated in 1886. At 305 feet from the bottom of the base to the tip of her torch, Lady Liberty has stood as a beacon of hope and freedom for millions of immigrants in search of the American Dream. Right across from the Statue of Liberty is Ellis Island, which operated as the world's largest immigrant gateway between 1892 and 1954. Today, both facilities are open to the public and are only accessible by ferry. The ferry departs from Battery Park and will take you to both Liberty Island and Ellis Island, both of which are open every day except Christmas. Ferries typically depart Battery Park between 9:30 AM and 3:30 PM each day, but schedules can vary by season. General Contact for the Statue of Liberty and Ellis Island: (212) 363-3200. Times Square has become the primary symbol of New York City life due to its massive scope and unrivaled energy. With well over 300,000 people walking through the area on a regular day, the lights and enthusiasm dominate each day and stretch through into the wee hours of the night. Located at the cross of Broadway and 7th Avenue between West 42nd and West 47th, Times Square provides access to the Theater District and many companies' flagship retail stores and restaurants. In recent years, a pedestrian plaza has been added to allow safer travel throughout the square, with public seating available for leisure and the occasional concert. Madame Tussauds' Times Square location has over 200 wax figures of the most iconic celebrities in the world and a variety of shows and interactive exhibits for all ages. The museum is located on West 42nd between 7th and 8th Avenues. If your thirst for alternative entertainment was not satisfied, walk right next door to Ripley's Believe It or Not!. Embracing the very essence of the strange and unusual, you never know quite what you will see once you enter! Between 59th Street and 110th Street in Manhattan, Central Park's green grasses, tall trees, and seven bodies of water give a shot of nature to an otherwise concrete jungle. At 2.5 miles long and a ½ mile wide, Central Park is one of the largest and most active urban parks in the world, serving as an immensely popular destination for locals and tourists alike. While you can absolutely walk around and simply enjoy the nature, the area has a lot to offer in terms of designated activities. During the summer months, Rumsey Playfield, located on the east side near E. 69th Street and 5th Avenue, hosts a regular schedule of popular musical acts through the “SummerStage” and “Good Morning America” series. Similarly, the Naumburg Bandshell, located just south of Terrace Drive, has been providing classical musical concerts for over 150 years, with the addition of a splash of modern acts in recent years. Summertime at Central Park also means a glorious display at Conservatory Garden, a six-acre garden at 105th Street and 5th Avenue. Here, you are free to leisurely stroll and enjoy the well-kept flowers and various plants. 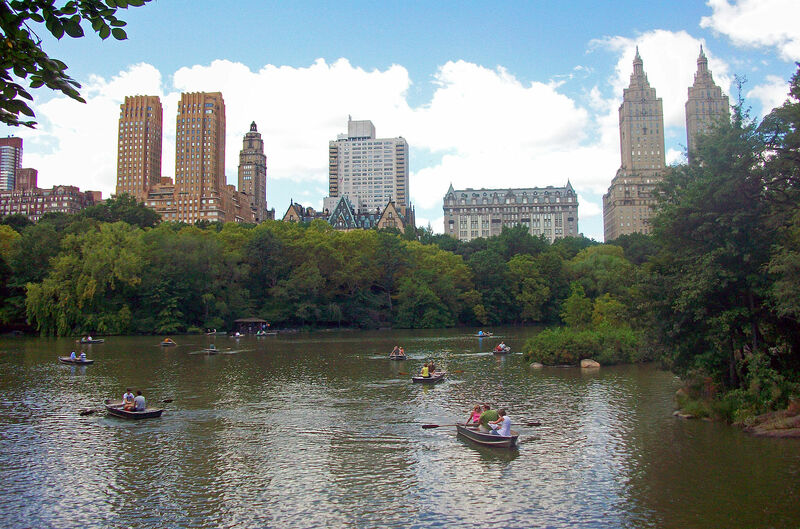 Besides a healthy dose of sports, Central Park also offers bicycle riding and rowboats, both of which can be rented on an hourly basis. Though winters in New York City can certainly get a little chilly, the good news is that Central Park is warmed by its consistent acrivity during the colder months. The park's primary attractions during the winter are its Wollman Rink and Lasker Rink, which both offer daily ice skating to the public. Wollman Rink can be found on the park's east side at 59th Street and 6th Avenue, while Lasker Rink can be accessed at 110th Street and Lenox Avenue. Schedules vary, but both are typically in operation throughout November, December, and January. 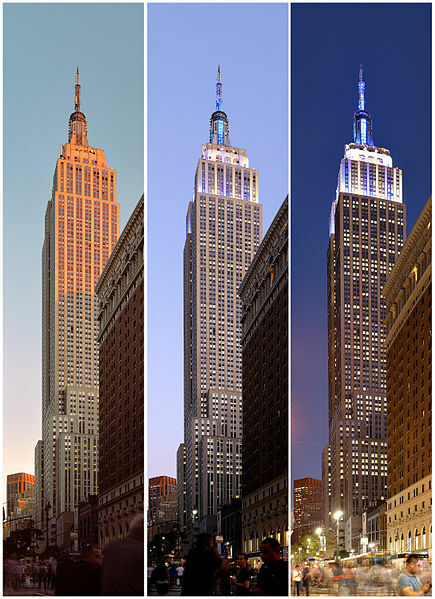 For decades upon its completion in 1931, the Empire State Building stood as the tallest building in the world. While that record has since been taken away by larger buildings, the significance and iconic nature of the Empire State Building continues to make it one of the most stunning aspects of the city's skyline. The building is located on 5th Avenue between West 33rd and 34th Streets, roughly half a mile from Penn Station and less than a mile from Times Square. Most of the building's 102 stories may be devoted to private office space, but there are a number of attractions for visitors to enjoy. The Art Deco-styled lobby leads to the building's Sustainability and Dare to Dream Exhibits, which detail the building's remarkable history. From there, you can visit the 86th Floor Observation Deck, which is the highest open-air observatory in New York, or the Top Deck on the 102nd floor. Both exhibits and observation decks are included in the building's available audio tour. New York City promotes a diverse selection of museums, galleries, and memorials for patrons interested in learning everything from art to history. The Metropolitan Museum of Art is both the largest and most visited art museum in the United States, boasting an incredible permanent collection and rotating selection of loaned pieces. In addition to the collection housed in the main building, The Cloisters Museum & Gardens is dedicated to showcasing art and architecture of medieval Europe, and is a branch of The Met, despite being located 9 miles away in Fort Tyron Park. While The Met is located on the eastern side of Central Park at East 82nd Street, the American Museum of Natural History is located less than a mile away on the park's western side at West 79th Street. The American Museum of Natural History contains tens of millions of historic pieces set across 45 exhibition halls, temporary exhibits, and a planetarium. Though the Met, Cloisters, and AMNH are some of the most renowned educational destinations in the world, even most New Yorkers don't realize that their admission prices are suggested as opposed to fixed. Definitely worth keeping in mind if you're on a budget! In addition to The Metropolitan, art enthusiasts have plenty of other art museums to visit in Manhattan alone. The Solomon R. Guggenheim is less than half a mile away from The Met and features modern art inside one of the most architecturally-stunning buildings in the city. Fans of modern art will also want to visit the Museum of Modern Art in Midtown Manhattan, which has an excellent collection of pieces by the likes of Picasso, Warhol, van Gogh, and Seurat. The National 9/11 Memorial Museum is located in lower Manhattan and serves to educate and reflect on the events that unfolded on September 11th, 2001. The site has both a museum of artifacts and historical information, as well as an outdoor memorial with reflecting pools where the World Trade Center Towers once stood. For those interested in military history, the Intrepid Sea, Air & Space Museum is set aboard the USS Intrepid aircraft carrier and features a selection of military exhibits and the actual Enterprise space shuttle. The Intrepid is located in Hell's Kitchen and only 1.5 miles from Central Park. With an impressive permanent collection and regular exhibitions for both adults and children, the New-York Historical Society is a prime destination for historical education. The museum is only a block away from the American Museum of Natural History on the western side of Central Park. Featuring over 21,000 works by more than 3,000 artists, the Whitney Museum of American Art offers a breadth of contemporary pieces from the 20th and 21st centuries. The museum is located right along the Hudson River at 99 Gansevoort Street in Manhattan. Located less than a mile from the Whitney on West 17th Street, the Rubin Museum of Art offers exhibitions and artistic events involving the culture of the Himalayas and India in relation to Western lifestyles. For those interested in learning about animals and viewing them up close, New York City has five individual zoos spread across its boroughs. The largest of them all is the Bronx Zoo, located within Bronx Park and home to hundreds of species and over 4,000 individual animals. The city's second-largest zoo is the Queens Zoo, which encompasses 18 acres in Flushing Meadows Corona Park. 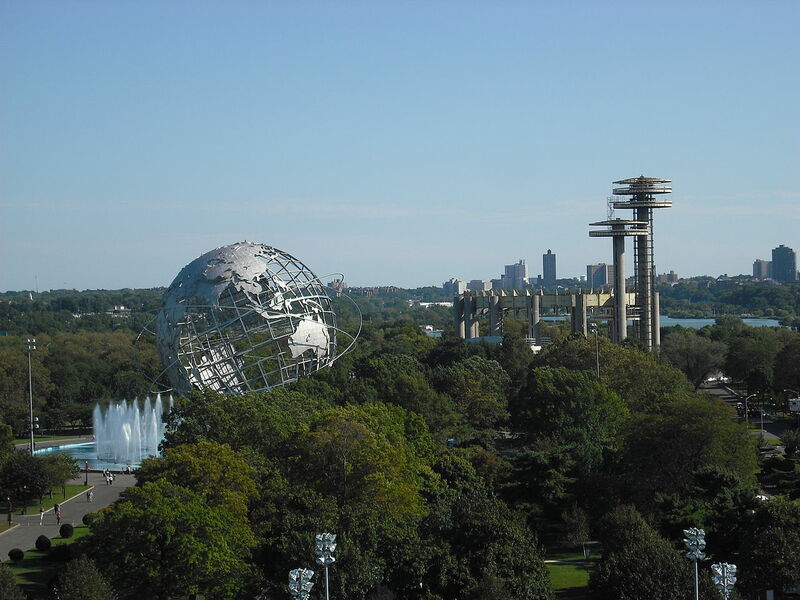 The park is well known for its Pavilion and Unisphere structures buildings constructed/renovated for the 1964/1965 World's Fair, as well as its art collection housed in the Queens Museum. For a smaller zoo experience, the Staten Island Zoo is home to 1400 animals and is located in the suburb of West New Brighton, Staten Island. If you are looking for something to do in Brooklyn, head over to the Prospect Park Zoo, a popular zoo that is located within the expansive, 585-acre Prospect Park. Last of the zoos, but certainly not the least, is the Central Park Zoo. Located on the park's east side at 64th Street, a wide selection of species offers an afternoon of fun for children and adults alike. Combining aquatic learning with an astounding history, Coney Island's New York Aquarium is one of the pioneers of American aquariums and has been a regular attraction since opening in 1896. While Coney Island's name may imply that it is a separate entity, it is merely located at the southern edge of Brooklyn and is readily accessible by mass transportation. With seven professional teams that play directly within the boroughs, New York City is one of the most active cities for sports in the nation. Yankee Stadium, located in the Bronx, is home to the New York Yankees and the New York City Football Club. The stadium is readily-accessible by public transportation, with its corresponding subway stop located at East 161st Street and River Avenue. 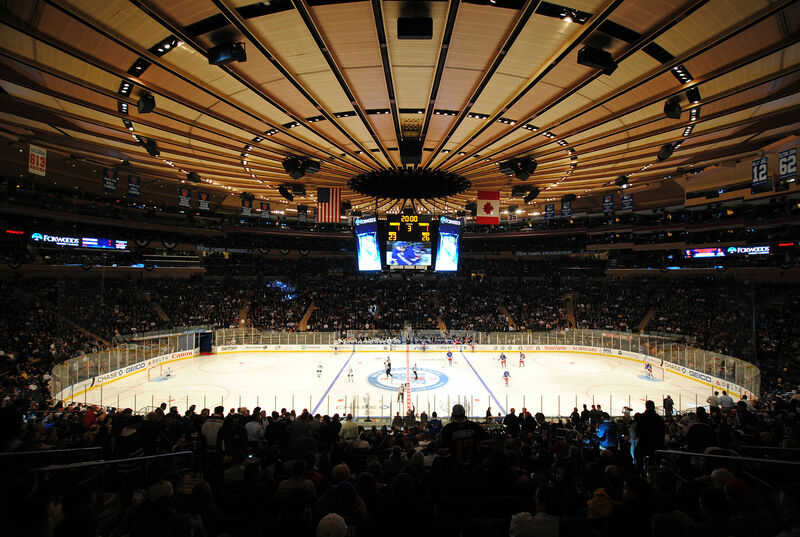 World-renowned for its prestige and legacy, Madison Square Garden is home to the New York Knicks and the New York Rangers, as well as an active roster of concerts and special events. The venue is perfectly situated between 7th and 8th Avenues and West 31st and West 33rd Streets, less than a mile away from Times Square. Additionally, it is located on top of Penn Station (Pennsylvania Station), providing incredibly easy train access to and from the stadium. Citi Field, home to the New York Mets, is located in Queens and is accessible by all public transportation methods. Direct LIRR train service is available from Penn Station, as is subway service. The newest addition to the New York City sports arena lineup is Barclays Center, an indoor Brooklyn arena that is home to the Brooklyn Nets and the New York Islanders. Constructed in 2010, the venue is located on Atlantic Avenue and is located across the street from Atlantic Terminal, an LIRR train station, as well as numerous subway and bus stops. The arena also boasts a year-round roster of concerts and shows. Despite the perhaps daunting list of stations and train lines, utilizing public transportation to get to NYC is actually rather simple. Running from Manhattan to Montauk, the railway system that will take you all across Long Island and into NYC is known as the Long Island Rail Road (LIRR). With over 100 stations, there are bound to be a few train stations in close proximity to where you are traveling from on Long Island. Tickets can be purchased on the train from a train conductor, but pre-purchasing them at a station's desk or automated kiosk will save you a few dollars and is strongly advised. Essentially, the three stations you should be aware of are Penn Station, Atlantic Terminal, and Jamaica. Besides some stations for railway employees, Jamaica is the final stop before reaching Manhattan and Brooklyn and is used for transfers. While you may have a direct trip to your destination, changing schedules can often have you transferring in Jamaica, so definitely check a train's intended stops before boarding. Penn Station and Atlantic Terminal will be your destination stops, with Atlantic Terminal taking you to Brooklyn and Penn Station to Manhattan. If you are looking to visit Times Square, Central Park, or The Empire State Building, for example, you will be heading to Penn Station. Since Penn Station is the final stop on the railroad, and directly underneath Madison Square Garden, you shouldn't have a problem finding your way there! Thanks to one of the most significant city infrastructures in the world, you have plenty of options for transportation throughout the city. Parking can be quite difficult and very expensive, so other transportation methods tend to be more convenient and affordable. Perhaps the most affordable way of hopping around the city is by the New York City Subway, which has a variety of lines that will get you wherever you want to go in Manhattan, Brooklyn, Queens, and the Bronx. Subway rides are paid for with MetroCards, disposable cards that can be purchased and reloaded at each station. MetroCards work across the subways and buses and can be shared, so you only need the one card to utilize public transport. Subway lines are labeled with individual letters, allowing you to identify what stops each train will be making on when finding your destination on a subway map. Since the subway and bus systems might be overly-confusing upon first arrival, the city's tried-and-true army of 13,000+ yellow cabs are dependable for quick transport. Though you can certainly stand on a corner and hail a cab, the city's yellow cabs are now connected through Arro, a smartphone app that allows you to easily call and pay for cabs. All taxis accept cash at the end of a ride, but each cab is also equipped with a Passenger Information Monitor (PIM), allowing for credit and debit payments. These devices come in the form of electronic screens installed in the back seat, allowing for easy payments and fare information. If you're looking for a guided experience, tour buses allow you to see all of the best New York landmarks without having to worry about navigation. City Sights and Big Bus New York offer open-top, double-decker buses that allow you to experience the city from inside the bus or enjoy the fresh air on the second level. With a variety of packages and the ability to hop on and off, these tours are ideal for those looking for a general overview of the city. For the ultimate sightseeing experience, NYC IT ALL combines landmarks and transportation into a neat package. 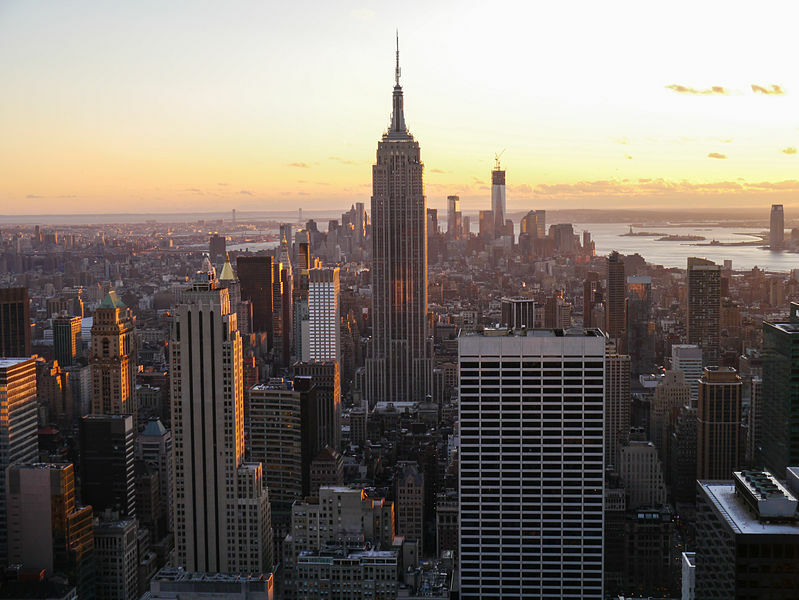 With one ticket, you will have access to the Empire State Building, Metropolitan Museum of Art, City Sight's double-decker bus tour, and a Circle Line cruise. For those looking for an all-inclusive package, the New York Pass offers access to over 80 attractions and a Big Bus tour. The pass can be purchased for a single days or in packages of up to ten days, so it's entirely up to you how much you would like to see. Looking To Plan A Day Trip To Long Island? Be Sure To Check Out Our LI Day Trips Guides To Make The Most Out Of Your Excursion!